Calm, relaxing and opulent. Boutique hotels have rocketed in popularity over the last decade, not only because more people wish to stay in them but because many want to recreate the distinctive style in their own bedrooms. The muted, yet undeniable charm and elegance has made the boutique look one of the most sought-after bedroom styles. Let us show you how you can achieve boutique chic with a few simple tips. 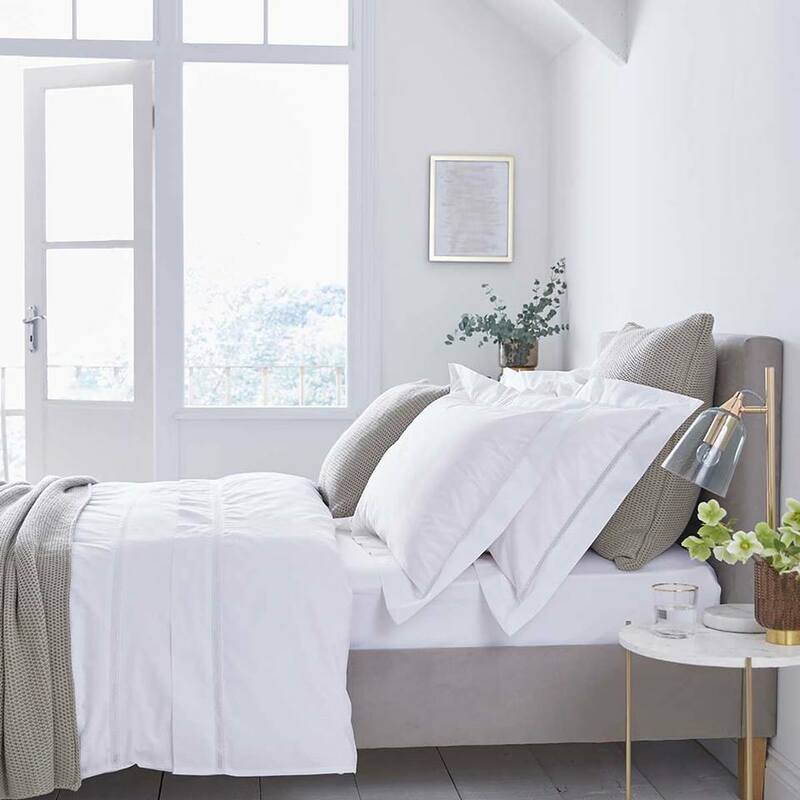 First and foremost, the simplest, most effective way to capture the look is to ensure your bedding is a gentle mix of mainly whites with hints of other pastel shades, like light pinks and greys. Crisp white bedding with a high thread count oozes quality, so make sure you check that your bed linen is made from 100% cotton. Most hotels use percale, a densely woven fabric that makes it strong and durable, as well as soft and silky. Its easy to go over the top with accessories, mistakenly thinking that ‘more is more’ – when often, the old adage, ‘less is more’ is more apt. Subdued colours such as creams, beiges and greys in a mix of fabrics work really well. Your bed will look divine with a scattering of cushions and throws that complement an existing theme or make a statement. Introduce some fresh cut flowers or scented candles to your room. These will appeal to the other senses, creating the full effect of a boutique room. And don’t forget to invest in soft, plump pillows filled with duck and goose feather and down. If you are allergic then Microfibre is a great replacement that is soft, yet supportive. One thing that really makes a bedroom feel like luxury are those little things, the lone chair in the corner of the room, with a soft throw in contrasting colours draped over it, the drinks station at the side of your drawers indicates an element of indulgence. These additions may not be a necessity but they represent features found in boutique hotel rooms.